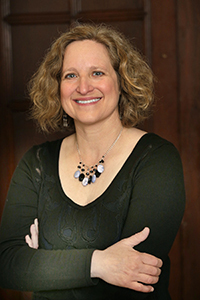 Linda K. Wertheimer, a former Boston Globe education editor, is the award-winning author of Faith Ed: Teaching About Religion In An Age of Intolerance. During her nearly thirty-year journalism career, she was a reporter at the Dallas Morning News and the Orlando Sentinel as well as for other publications. Her work has appeared in the Washington Post, the New York Times, the Boston Globe Magazine, USA Today, Time, and many other publications. Faith Ed in 2016 won a national book award—second place in the Religion News Association nonfiction religion book contest. She has also won awards for her writing from the Education Writers Association and other organizations. She was a 2014 finalist in the Massachusetts Cultural Council artist fellowship awards. A graduate of Northwestern University’s Medill School of Journalism, she lives in the Boston area with her husband and son.